Insignia 20-cup Rice Cooker – Just $29.99! Save $70! Need a new rice cooker? Or maybe you’ve never tried one? Feed any size family with this Insignia rice cooker. Its 20-cup capacity lets it cook large batches easily, and it automatically switches to a warm setting when it’s done to keep rice at the proper serving temperature. 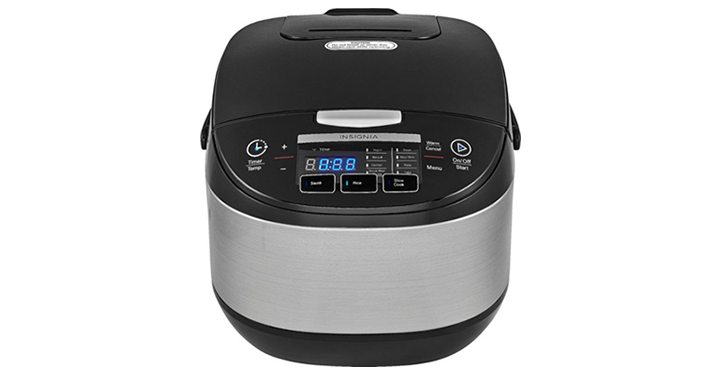 This Insignia rice cooker comes with a removable steaming basket for preparing vegetables. Check out this great deal! Get on over to Best Buy and check out the Insignia 20-cup Rice Cooker! Priced at just $29.99!